The Japaridze family, the sister and brother Japaridzes were more commonly written about and referred to as the mountaineering-Japaridzes. A strange family - with strange family members: all of them from different professions but all in love with the same passion and prepared to sacrifice their lives for it... This one family has made history for itself and for Georgian mountaineering. And yet, today we will speak only about one of them - about Alexandra Japaridze. “In the course of my professional career I have personified the roles of many women, however, I am convinced that I would have found it difficult to play the role of a woman whose character is such an embodiment of feminine tenderness and enormous courage as it is in you” - these words were addressed to Alexandra by Veriko Anjaparidze at an anniversary reception. In upper Imereti, at the border with Racha, high in the mountains lies a village called Khreiti. Today a house-museum of the mountaineering Japaridzes can be found here: a wooden Imeretian house that has found shelter under century-old oak and lime trees, containing many memories of these famous countrymen. The Japaridzes and their large family lived here in the beginning of the century. Bichia and Lida Japaridzes had seven children, Alexandra was the fourth. Having graduated from St.Nino gymnasium in Kutaisi, the eighteen-year-old Alexandra returned to Khreiti and taught reading and writing to the village children at her home. In 1913 the village built a two-room wooden house for the school. Alexandra became the first principal of the school and the first teacher, teaching all subjects. “At the beginning we had neither desks nor other school equipment - children stood aligned against the walls of the room and studied the ABC... When I look at it now, an amazing feeling seizes me. What a distance there is in my memories between the old and contemporary Khreiti...” Nowadays the Khreiti secondary school is named after Alexandra Japaridze. In 1916 Alexandra was invited to Kutaisi Khojevanova private gymnasium as a teacher of mathematics. After three years she became a student of the Faculty of Physics and Mathematics at Tbilisi State University. Concurrently, she started to work at the Geophysical Observatory, the director of which from 1921 was Alexander Didebulidze. By that time her elder brother, Vano who studied in Petersburg at the Department of Oriental Studies was no longer alive. During the rallies of 1905 he was captured and sent to Peter-Paul’s prison where he caught osseous tuberculosis and died shortly after that. Her second brother, Kalistrate was a revolutionary and was taking an active part in the revolutionary movement in Baku. Life was strange, indeed: in 1921 her two younger brothers, Simon and Aliosha were fighting along with others against the 11-th Red Army coming from Baku. Kalistrate was killed in 1924 in Telavi where he worked as the head of the Political Division. Noah, the fifth brother was still a little boy and Judith, Alexandra’s only sister was already married. In August-September, headed by Giorgi Nikoladze and Alexander Didebulidze, two expeditions climbed Mkinvartsveri. Alexandra was in Alexander Didebulidze’s team as an observer from the meteorological department. At that time Simon, Alexandra’s brother was studying at the Department of Geology. In 1924 the Geographical Society was founded in Georgia. The Department of Mountaineering and Travelling was headed by Giorgi Nikoladze. After a short period of time Giorgi Nikoladze travelled overseas for several years and the Department was delegated to Simon Japaridze. Now Alexandra’s and Simon’s paths began to cross. In 1927 the sister and brother Japaridzes, Iagor Kazalikashvili and Gakha Tsiklauri climbed Mkinvartsveri by a new route. They carried a meteorological booth to the peak. This was the first time that the temperature had been measured at such a height. An automatically recorded diagram was sent to the exhibition of world’s achievements held in Paris and the results of the studies were published in England in the Geographic Society Journal. Giorgi Nikoladze wrote to Simon Japaridze from abroad: “I’ve heard rumours that you intend to settle down at Mkinvartsveri and “descend to the earth” once or twice a year...” In the course of four years Simon climbed Mkinvartsveri eight times, three times with Alexandra. On 27 August, 1929 the members of the Georgian Geographic Society: Giorgi Nikoladze, Pimen Dvali and Simon Japaridze set off to conquer Tetnuldi... and only Giorgi Nikoladze came back. The bodies of Simon Japaridze and Pimen Dvali were found by Svan hunters only after several days. Later Alexandra’s second brother, Aliosha wrote: “My sister Alexandra was also thinking about and dreaming of reaching Tetnuldi”. After a year the sister and brother Japaridzes, Iagor Kazalikashvili and Adsil Avaliani conquered “the terrible” peak. This was the first time that Georgian mountaineers had ascended Tetnuldi. This was also Aliosha Japaridze’s first peak and Alexandra was the first woman who had stepped foot on Tetnuldi. They erected a plaque with the inscription “To the memory of Simon Japaridze, the secret-keeper of the peaks of the Caucasus as a token of fulfilment of his unachieved endeavours from his sister and brother who came here, July 1930”. Simon’s death was the reason for Aliosha’s desire to become a mountaineer. The brother and sister Japaridzes were on the peaks again. Life went on... However, there was neither time nor room in their lives for private life. Neither Simon, Aliosha or Alexandra had ever had their own families. It is not known whether Alexandra was in love with anybody but it is obvious that Aliosha’s close friend, who passed away at a very young age, cared for her. Alexandra became aware of this love later, from the family of the late friend of hers. And then... Then, perhaps, the past seemed to appear differently and many years thereafter, carefully kept photographs of the young man were found in Alexandra Japaridze’s private archive. An extract from her diary: “I pledge to the members of my family to completely quit mountaineering if we manage to survive this year’s expedition... Even if I access Ushba five times, this peak won’t be able to heal my broken heart...” On 20th of August the expedition was ready to set off to Svaneti: the team of the launching mountaineers was composed of Iagor Kazalikashvili, Gio Niguriani and the sister and brother Japaridzes. ‘’The peak is still far ahead, the darkness of the approaching night covers the group at a difficult section of the route. Only one person can stay there overnight. It is essential to get back to the camp. And tomorrow? God knows what will happen tomorrow... I’d rather stay here. I spent the night alone in the middle of the rock tied to it by a rope. I spent a marvellous night having slept most of the time at the height of 4,550 m.... The obstacles here are terrible. It is amazing that the idea of climbing this peak had occurred to anybody at all... We reached the peak at 15.00 hours and remained there for two hours ...” She was the first woman to ascend the Ushba peak.  In 1935 the double-peaked mountain was conquered by a team guided by Alexandra Japaridze, which was followed by ascents on Mkinvartsveri and Elbrus. 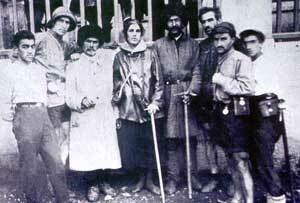 In 1938 in a five-men group she climbed Rustaveli, Akaki Tsereteli and a number of other peaks. In 1939 she ascended Mkinvartsveri three times with various teams. 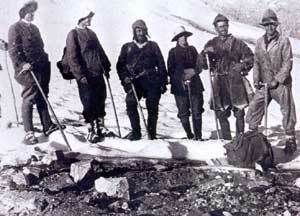 In the same year Alexandra successfully reached Kabargini and the Maila peaks. In 1940 a big Caucasian traverse took place. For that time it was an international mountaineering record - 80km along the most difficult ridge and 20 peaks of which 10 belonged to the most difficult category; all these without bases and no food replenishment. This was the first time in the history of mountaineering that a woman had participated in such a complicated traverse. Time elapsed. During this period Alexandra’s father passed away, followed by her mother. “Perhaps I will still climb but without heart and soul. Nobody can imagine how much I want to name one of the unnamed peaks after my mother but I cannot disclose my wish to anyone, maybe it is very awkward to do so...”, she wrote in 1945 in her diary during the Shkhelda-Ushba traverse. “My heart is aching, I feel as if all my veins have broken. What shall I do if there is an accident? Death first and shame thereafter... My heart is full of rain, I’m worried at night, I cry and feel as if I’m going mad. I know they are in danger and there’s no chance of getting any help. What can I do for them? What a helpless state... Oh, Lord, prevent us from a misfortune”, this is what she wrote in her diary when communication was already down between the team and those remaining on the lowlands. The sound of thunder and landslides was heard for a long time from the slopes of Ushba covered with fog. 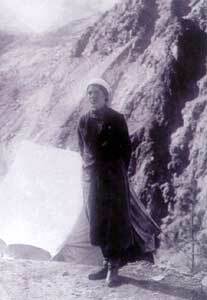 Two years later Alexandra Japaridze ascended the Dikh-Tau peak with her disciples. “I made it pretty easily. It was not difficult at all but I said good-bye”, wrote Alexandra to her friend, a famous mountaineer and physician Soso Aslanishvili. 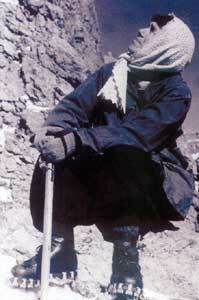 At that time she was 58 and headed the 52-men Chiatura miners’ mountaineering competition to Mkinvartsveri. Next to her on Mkinvartsveri stood her third brother, Noah Japaridze. This is how she symbolically bade farewell to the icy peaks. The farewell itself was symbolic... because this was a merited master of sports, an instructor of mountaineering, the chairman of a qualification commission, an honorary member of the Alpine clubs of many countries and a winner of even more rewards, prizes and a holder of various titles, who had worked since 1944 until the end of her life as a teacher of tourism and Alpine studies at the Tbilisi Youth Palace. For many years the beloved “aunt Alexandra”, “honourable Alexandra”, “teacher Alexandra” was an example and a token of strength and victory for tens of young mountaineers to become famous in the future. In 1957 Levan Gotua held the Young Writers’ mountaineering competition. Upon his insistent request, Alexandra Japaridze participated in the competition. At the end of her life Alexandra Japaridze translated “The Anapurna” into Georgian, a book by the well-known mountaineer Morris Herzog. She proof-read the book in hospital and the review of the book was written after her death... Alexandra Japaridze passed away in 1974 at the age of 79. She was buried in Vera Park near the Alpine Club, next to Simon and Aliosha. Mountaineering cannot be a surprise to anyone in Georgia where this courageous sport has been popular for many centuries. Along with “the lust for the unattainable”, maybe our country itself is to be blamed for this.